Looking for some purpose to your X-Plane flying? 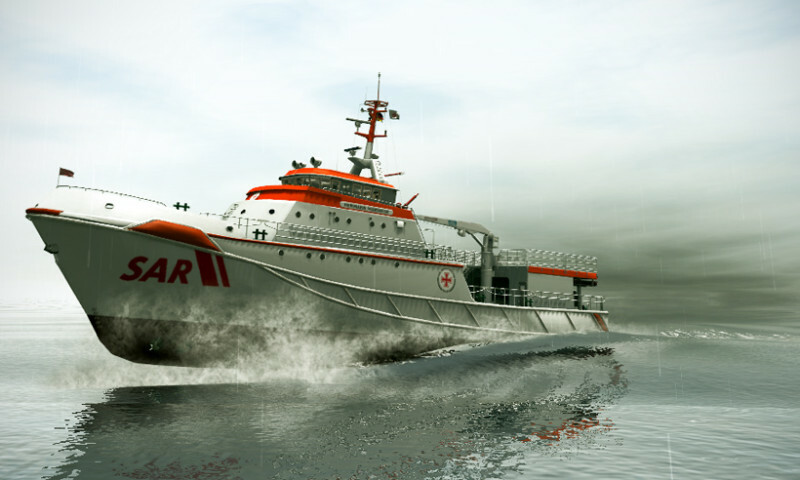 JustFlight’s Air Hauler for X-Plane just might fit the bill…. Released in early 2011 – you’d be right to wonder why I’m writing about software that is over five years old – but this is Mudspike – it’s what we do! Before you run and hit the “BUY” button anywhere, let me get this out there: Air Hauler for X-Plane (XP) can work for X-Plane 10, but it was designed for a 32-bit X-Plane 9, so some things do not work! So with that Nader-ish observation out of the way, let’s see why Air Hauler (AH) is a fun little add-on for XP10. For X-Plane 9, that is indeed what Air Hauler did. 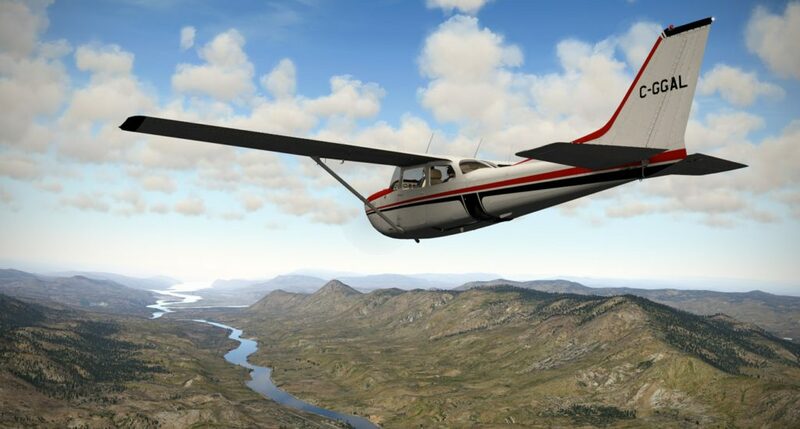 And while a few people are most certainly still flying XP9, the fact remains that XP10 has been out for over four years now, and by all indications, we are probably on the threshold of another major X-Plane release (XP11). So most of us are firmly in the late XP10 stage and anticipating XP11. Air Hauler was developed and is advertised for XP9, so if you choose to wade into the Air Hauler for XP10 environment, do so with your eyes wide open. As anyone that has followed Mudspike over the short span that we’ve been in existence knows, I am a huge fan of X-Plane. 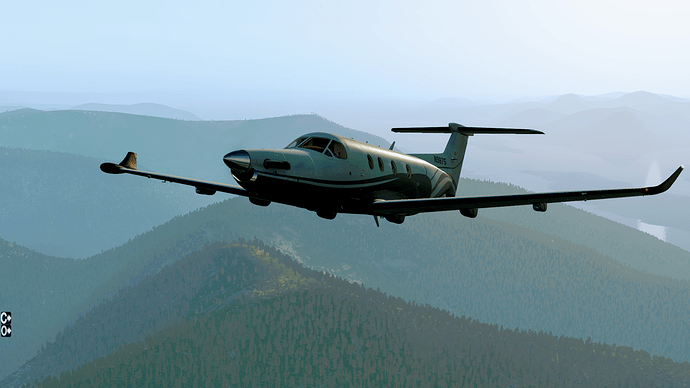 As well, I’m always looking something to DO with X-Plane other than just flying around, although that can be fun too. 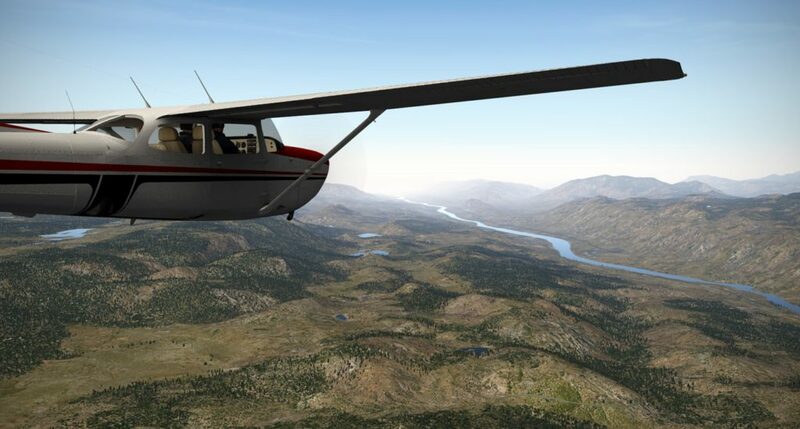 Thus, I found myself flying frequently with the fantastic group of pilots that make up the bush pilot virtual airline EPOCH Alaska Air, who use X-Plane exclusively and concentrate on bush type flying in the Pacific Northwest and Alaska. They are an incredibly diverse group of enthusiasts who are always warm, welcoming, and inclusive of all who might want to dip their toe into bush flying in that region. You’ll have to excuse my rambling (again, because that is what we do here…take a sip of coffee..!) but I’m working my way toward discussing Air Hauler. What many of us want from our simulator, whether civil or combat based, is a sense of purpose. 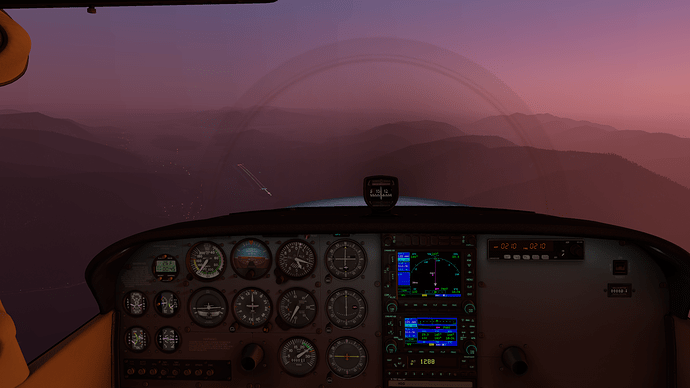 It isn’t wrong to want some “game” in your simulation – after all, a real life career in aviation is quite synonymous with with game-like terminology. Leveling-up is upgrading equipment! Credits are earned vacation days! Pay is the ability to buy more sim stuff. So it wasn’t unusual that when I first stumbled upon career modes for flight simulators that my interest would be piqued. Unfortunately, it wasn’t until five years later that I was able to give it a whirl with X-Plane, but most would agree that the ages of birth to six years old are the most “hands on” with a child – so I hate to break it to you little Kai, but you’d better start to learn all those assignments on the HOTAS if you want to play with Daddy. Air Hauler lets you play as the manager of a freight hauling company of your own design, managing almost all of the aspects of the operation that will lead you to prosperity or bankruptcy. You choose a difficulty, aircraft, home base, and other variables that can directly affect your climb through the ranks. Buy airplanes, lease airplanes, get loans, sell airplanes, upgrade bases, hire pilots, and oversee your empire. For me, I was interested in starting at the bottom, and seeing how (or if) I can progress to the top. 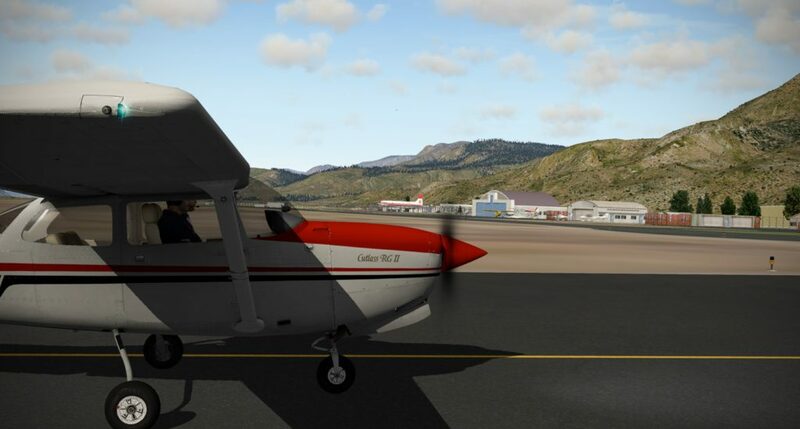 Development on Air Hauler continues with the relatively recent announcement that Air Hauler 2 has gone into Early Access mode – but unfortunately, their focus is on FSX and P3D. 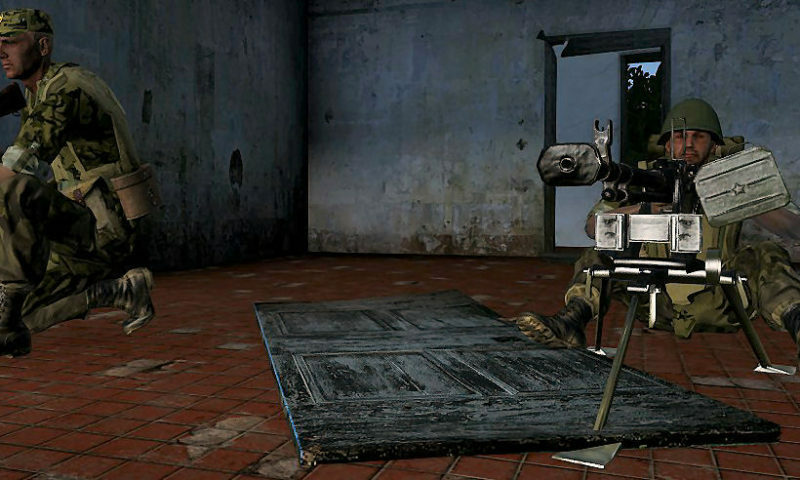 (Look for a preview article on Mudspike in the near future on AH2!). So if you want to use legacy Air Hauler for XP9, you have to do some contortions and live with some limitations if you install it for XP10. 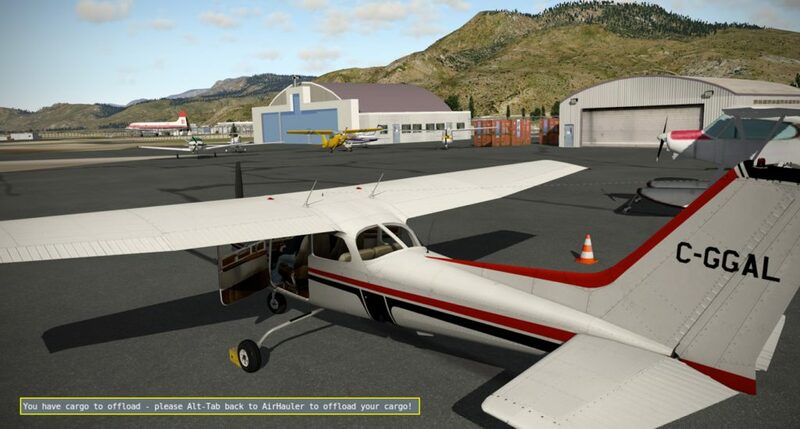 The basics of the program work fine for XP10: buying aircraft, selling aircraft, opening and closing bases, hauling freight, earning money, reputation, and growing your company. The items that do not appear to work when shoehorning AH into X-Plane are: oil prices, the virtual stock market, and viewing weather within AH. In my install, oil prices per barrel are pegged to $100 a barrel, and that value is supposed to fluctuate according to real market conditions, but the ability to read that data isn’t working in XP10. The same goes for the stock market, where you could invest your money and become wealthy or poor. The weather METAR/TAF data is not really a problem since you can open a browser and get a weather forecast for the route you are planning to fly and all weather is handled in X-Plane via whatever default or weather plug-in you are using. When you install AH, you can direct it to your X-Plane 10 directory. 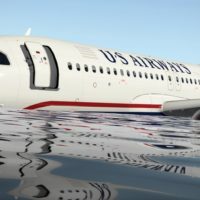 You could just run X-Plane in 32-bit mode and be fine, but many of us are running aircraft add-ons and scenery that will quickly breach the 2GB memory limit of 32-bit X-Plane which will result in a crash. The solution is to remove the 32-bit XPUIPC file that AH installs to your resources/plugins directory and replace it with a 64-bit capable version available HERE. The newer versions of XPUIPC reside in folders within the plugins directory, but AH does require you to have two files in your /resources/plugins directory: XPUIPC.xpl and XPUIPCOffsets.cfg, so be sure to keep those files that AH installed in there or you won’t be able to launch AH. The last hurdle has to do with importing custom aircraft into the Air Hauler database. 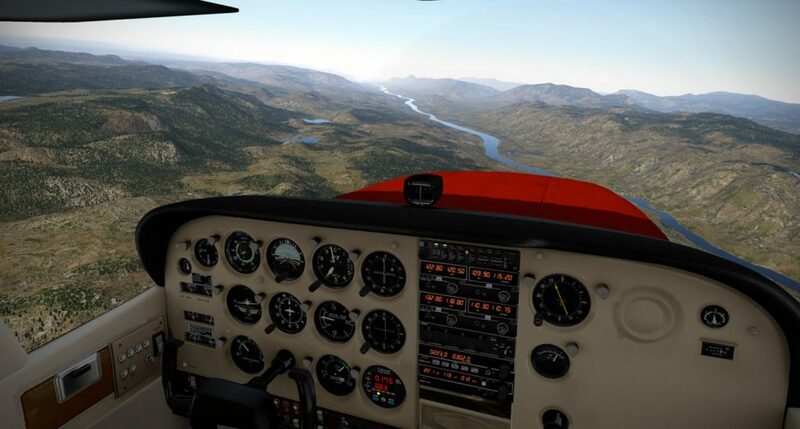 While there are several default aircraft parameters included when you install AH, there are tons of free and payware add-ons for X-Plane that you might want to use as you build your company. AH needs to read the .cfg files of those aircraft to determine how to value the aircraft in AH and to allow you to add performance data into AH. 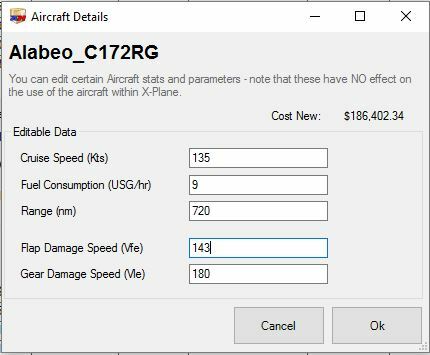 The problem is, the import function in AH launches X-Plane, then closes it after it reads the custom data you direct it to read (for example the Carenado C337 aircraft.cfg file). This function requires X-Plane to launch in the 32-bit mode, so you must rename the default X-Plane.exe to something different to store it, then copy and rename the 32-bit X-Plane-32-bit.exe to X-Plane.exe while you run the AH import feature. After the data is imported, delete the renamed X-Plane.exe file and restore the original 64-bit X-Plane.exe that you backed up. Sound confusing? Well, in practice is isn’t, but written out it sure sounds like a cluster. 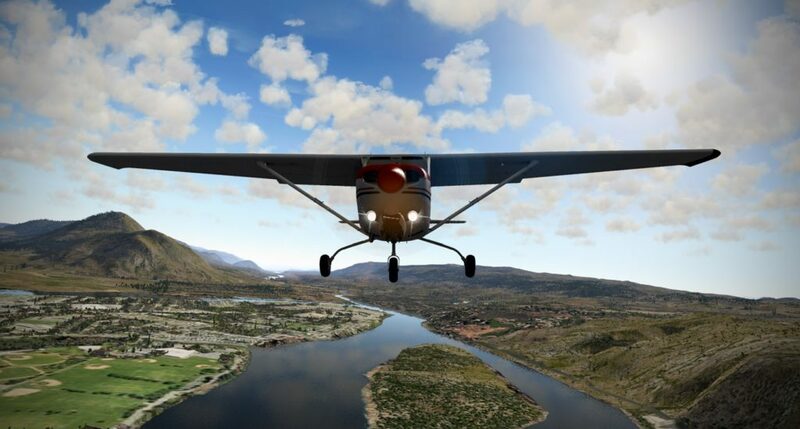 The simple solution for consumers (of course) would be for JustFlight to put a group of programmers onto this and fix it (because the X-Plane commmunity is growing at a fantastic rate) or develop AH2 for X-Plane (an even better idea!). I know – I’m wishing for Air Hauler 2 for X-Plane too. The only way we might get it is to ask for it. So ask for it. Please note – many of the accompanying screenshots have been cropped to emphasize menus within AH. Hey – you made it here! This part assumes you’ve overcome the hurdles and actually have AH working in XP10. Congratulations – you are a true simmer because the only thing we love more than simming is tweaking our sims! Once you have AH working it should launch XP10 for you when you are ready to fly. Prior to flying though, you need to set up your company. 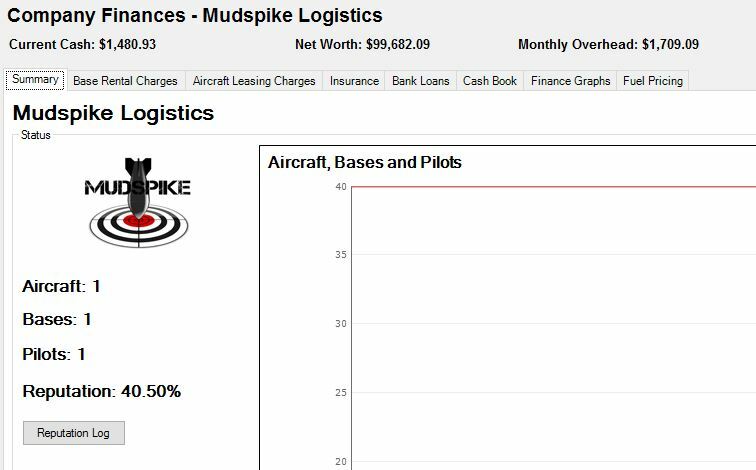 For my EPOCH Alaska Air dba Mudspike Logistics company, I used the Career setting which gives you the least amount of startup capital and the lowest reputation rating ($100K, Cessna 172, 40% rep). Cash and reputation are the key to AH success. Cash can buy you bigger and better airplanes (capable of carrying more cargo further), lease larger airports with better facilities, and hire other pilots to work for you. Reputation will allow you to lease aircraft, take out bank loans, and reap greater rewards from your operations. Both cash and reputation come by way of experience and the timely (and safe) delivery of the goods you agree to haul. Next you need to choose a location for your nascent freight company. You are given $100,000 with permission to overdraft your account an additional $100,000 – giving you purchasing power of $200,000. Just remember, if you decide to expend all of your credit, you will be digging yourself out of an enormous hole right from the start. I don’t know what the criteria for determining the value of each airport is, but there are plenty of airports out there that you can use that will only cost $5,000 to $10,000 to open. You can use the map view and preset criteria to help you find a suitable location. Consider whether you need an instrument approach, runway length, and runway lights before you make your decision. It is also worth evaluating the fees that include fuel cost, landing fees, and monthly rental costs. 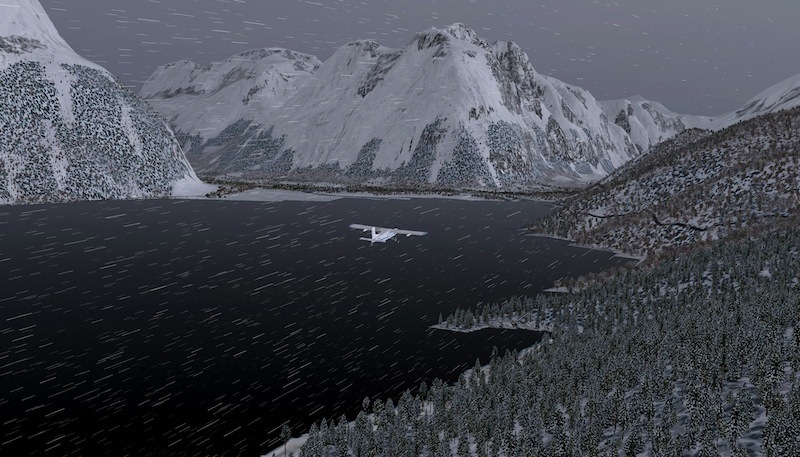 For my company, I wanted to explore some of the X-Plane scenery by that I had purchased a few years ago by Tom Curtis that includes his Canadian Rockies, Inside Passage, and Final Frontier scenery that encompasses much of the Pacific Northwest. This scenery area dovetails nicely with the EPOCH Air Alaska/Passage Aviation scenery area that I hope to expand into as my company grows. 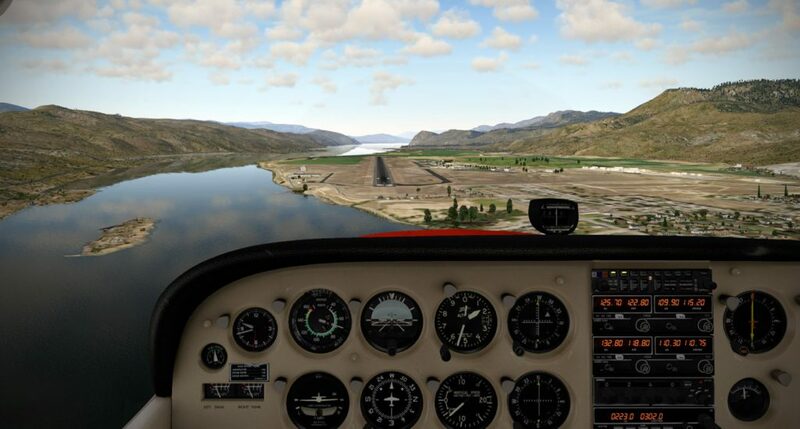 After browsing around the region, I settled on Vernon, British Columbia (CYVK) since it was modestly priced, had an instrument approach (NDB), had lights, and was convenient to the scenery areas I wanted to explore. Rent is due monthly, whether you fly or not. Thus, if you create a company and do not fly for several months, do not be surprised when you open AH to discover several months of facility rental has been deducted from your account. We will see further implications of this realtime tracking later. Other options you can tweak during the startup (as well as after your company commences operations) are the job distance, cargo size, number of jobs, and airport sizes. 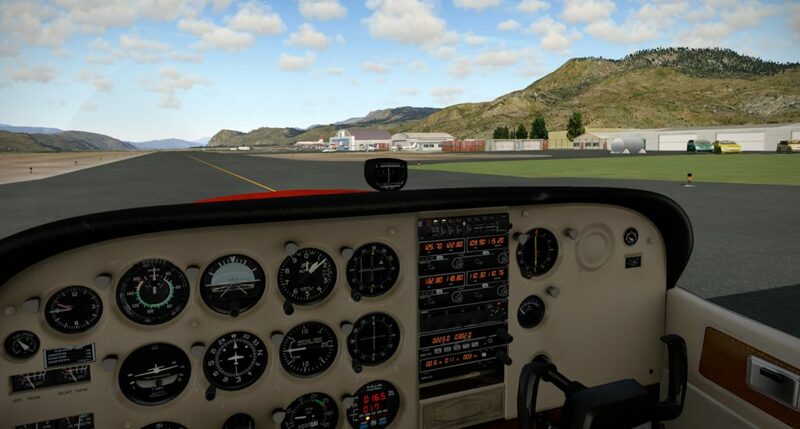 I picked what I felt were adequate settings for my Cessna 172RG, but I might revisit this setting soon to increase my job distance and decrease my airport size because I can squeeze that Cessna into some pretty tight spots. I have the added incentive of wanting to visit some of the more obscure airports in the Pacific Northwest. Statisticians and number crunchers can rejoice because AH has menus within menus that provide a wealth of information on the health of your company. Rental charges, leasing charges, insurance (like I’d bend metal..c’mon! ), loans, and cash on hand are among the often checked information tabs. Other tabs such as fuel pricing and stock prices do not function in this brute forced application of AH to XP10, probably due to some communications issues with the data sources that provide that information. To my uneducated mind, it seems like it would be an easy fix, but I’m a pilot, so that tells you my critical thinking ability is severely compromised. I may or may not have been dropped several times as an infant. Within these various tabs you can track many statistics and how your AI pilots, aircraft, and your own reputation is doing. Mine doesn’t show any trends because I just started my company. No doubt I’ll be flying Air Force 1 in two weeks. 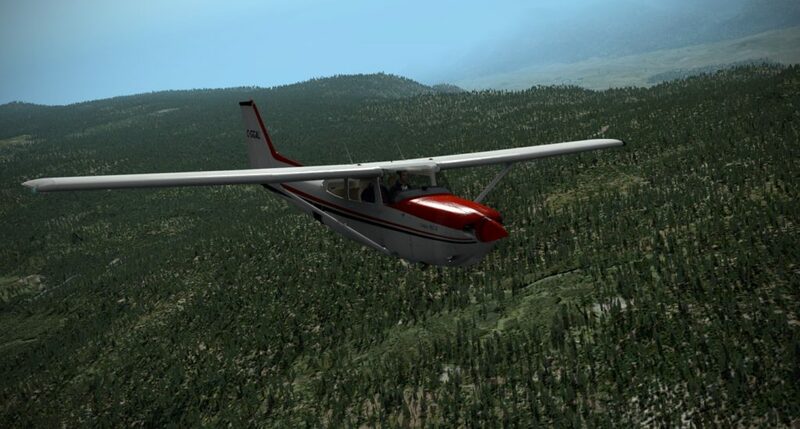 As noted previously, the “hard” and “career” modes place you in the default Cessna 172, but for nostalgia’s sake, I wanted to fly a Cessna 172RG – my first real life freight plane I flew for my first commercial job. 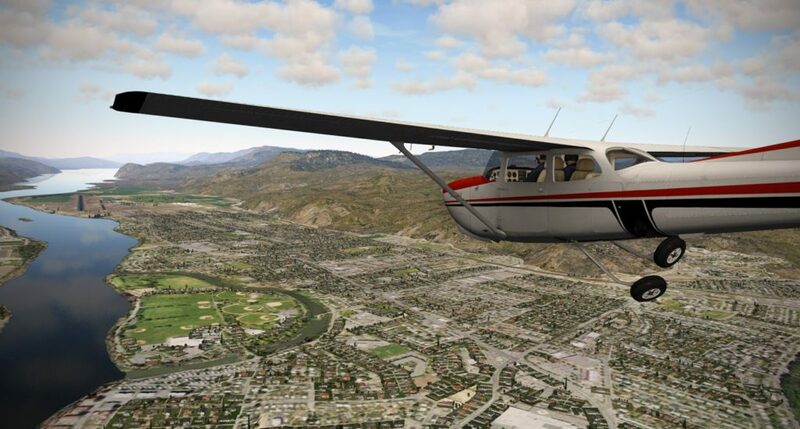 I was able to sell my default C-172 for around $92K and with the funds from the sale, plus the remaining $95K I had remaining from my startup capital, was able to purchase the (imported) Alabeo Cessna 172RG for $186,402 – which put me in the hole for about -$4,058. Nothing ventured, nothing gained right? In the hole to the tune of $4,058…I hope my wife likes Ramen noodles! When you import an aircraft into AH, the program reads the aircraft’s .cfg file to determine some parameters, but you may need to manually input some data if prompted. 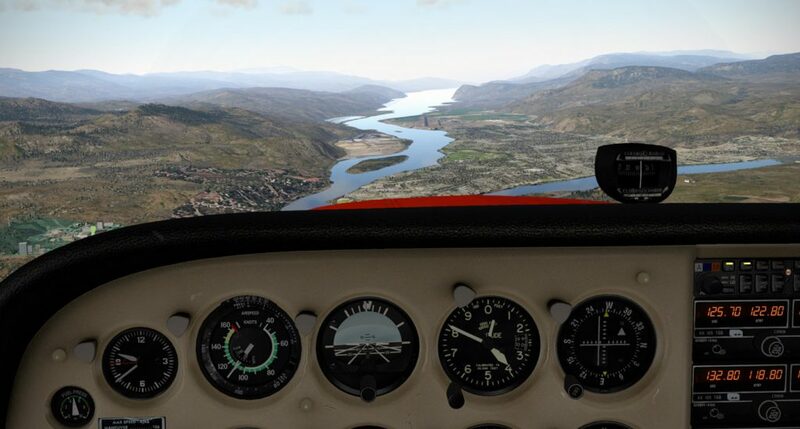 In this case, the Alabeo 172RG required me to enter cruise speed, fuel consumption, range, flap, and gear speeds to allow AH to track damage and create routes suitable to my preferences. 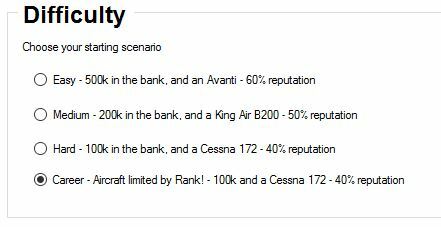 I believe that the fully functional AH allows for the listing/sale/purchase of used aircraft based on the other AH users in the community, but this list does not update under XP10. 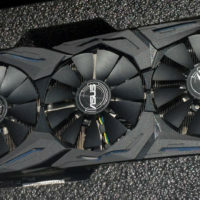 Importing aircraft that you’d like to buy requires the 32-bit.exe trick described earlier in this article, but fortunately it isn’t necessary to do it often. Once you select an aircraft, you will be prompted to select a base. As we’ve already discussed, choose wisely because both your aircraft type and operational needs weigh heavily in this decision. If you went for the “easy” difficulty with $500,000 in the bank and a King Air, you might need more runway for your immediate needs than the guy with the STOL capable Cessna. 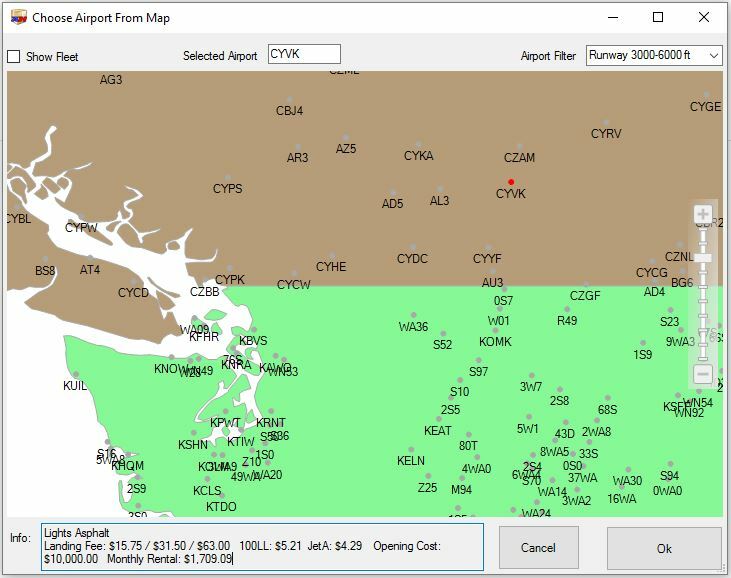 Geography and climate have some say in this decision as well – do you really think that your little general aviation airport outside of Seattle is going to be mostly VFR throughout the year? You may want to have at least a published GPS or non-precision approach available. If you plan to fly at night – runway lights would also be useful. I have to beg ignorance at this early stage of my company launch that I’m not too familiar with the expanded features of AH that track AI pilots and other company aircraft. From what I gather, as I earn money I might be able to purchase other aircraft, and hire AI pilots to help supplement my income. For now though, I’m the owner, operator, sole pilot, cook, maid, accountant, human resources, and public relations employee all rolled into one. Remind me at my next board meeting to vote myself a raise! Multiple tabs allow you to peruse your company status, finances, and personnel. My “fleet” consists only of the C-172RG at the moment and the board indicates the current location, condition, fuel, inspection times, and a bunch of nice performance data. 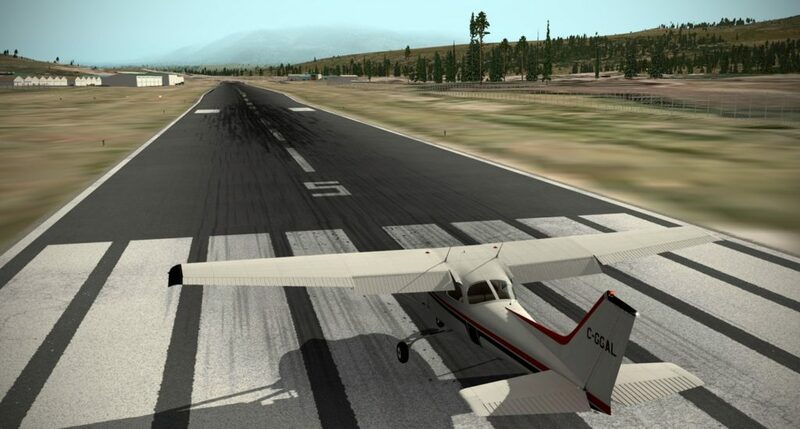 Once you have selected an aircraft and home base – it is time to get flying! Selecting the Jobs Board brings up an extensive list of origin and destination airports, distances, freight weights, revenue, and contract expiry data. This is an important screen that you can spend a lot of time at. The “fee” or revenue you will earn should not be the only figure you look at. While some contracts might appear lucrative, they may require more weight than your aircraft can carry, necessitating multiple trips back and forth. Distance also affects profitability. As well, carefully consider the delivery airport in the contract – does it have an instrument approach? Is the weather above minimums? Do you have the fuel and range to reach the airport? How much cargo can you carry at the expense of fuel? Can you complete the contract in the time allowed if you can’t play AH for a few days due to home commitments? Once you click on a contract that interests you, the Job Details pane populates with a bunch of useful information that includes the distance, type of cargo, weight, revenue, and departure and arrival airport information. You are not committed to the job until you hit the “Accept Job” button. Once you do that, you are committed to fly the trip prior to the contract expiry date or you will be penalized substantially. My first official job for Mudspike Logistics is going to be a short 51nm hop carrying 596 lbs. of shrimp from my home base of Vernon, BC (CYVK) to Kamlooops (CYKA). This was not a knee-jerk selection because I made sure the weather at my destination was good, and I made sure that there was at least a non-precision approach of some sort available at Kamloops. If you happen to see multiple job offers that appeal to you, or that you think will work well with your planned stops, you may select as many jobs as you feel you are capable of, but just know that you must complete them within the expiry time or you will be penalized. I wanted to start with the basics and only accepted one leg – totally dedicated to the safe and efficient delivery of my cargo of shrimp. I can only assume they are frozen given the 66 hour contract expiry time. Once you have accepted a trip (or multiple trips), the cargo becomes available at the trip origin airport. In this case, my shrimp cargo is at my home airport of Vernon. I specifically chose a cargo load that would fit my diminutive C-172RG, so the load and fuel are more than adequate for the short leg length. It is easy to see how contracts could lure you in for near gross-weight delivery requirements where you might not be able to carry the fuel adequate for the leg. Add in poor weather, holding, and missed approaches and the formula for some exciting flights is on the table. Keep in mind that you also must purchase the fuel you load. Now that we are loaded up with cargo and fuel – all that remains is to fly the trip! 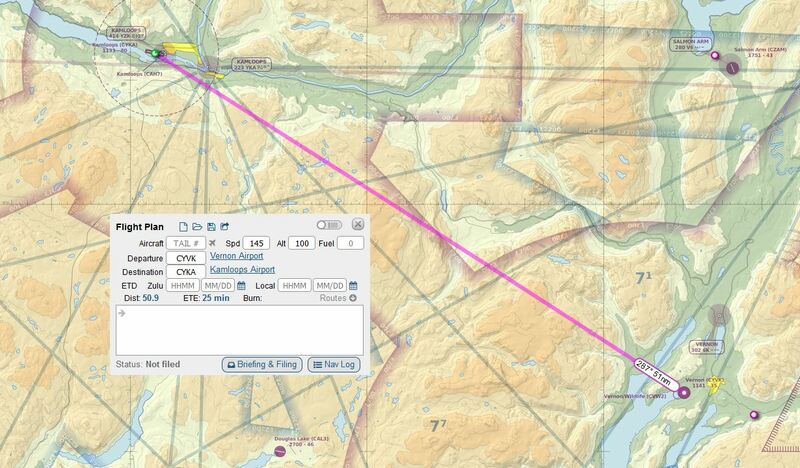 A quick look at the VFR map shows our flight path. With no GPS in the C-172RG, we’ll need to rely on a bit of pilotage, dead reckoning, and NDB homing with some cross checks with available VOR radials. Fortunately, the weather is great for our first flight. Once you hit OK – Fly Now – the Flight Monitor page comes up which tells you to fly the trip and then come back to the AH program after you have reached your destination and shut down your engine(s). This page will sit dormant until you are done flying. 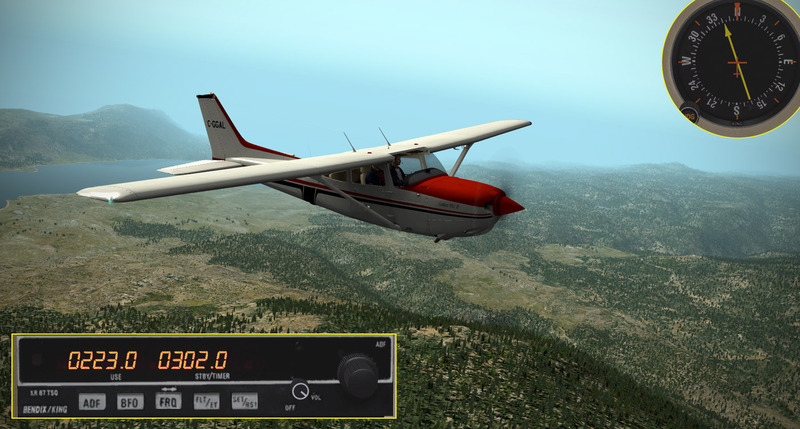 Hitting the OK – Fly Now button launches X-Plane and AH continues to run in the background monitoring your flight. Yes, Big Brother is watching! It has been my experience that X-Plane is extremely tolerant of Alt-Tabbing out or running different programs on different monitors. I can’t say the same for FSX, where I’ve had plenty of graphics glitches and CTDs when trying to do other things while flying. 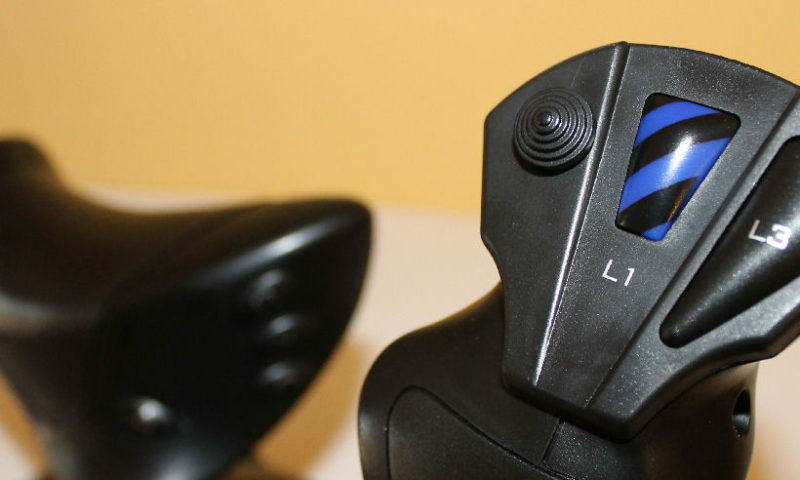 Once you are in-game, pay attention to what you are doing – these flights count! And that is the appeal of Air Hauler…your flights have a purpose now. Damage your aircraft, exceed limitations, fly rough, or do other damage to the cargo, and you will put your profitability in jeopardy. Now might be a good time to start using those aircraft procedures checklists (particularly when you move up to larger aircraft that have more complex systems). AH talks to X-Plane and sets your fuel level, but you must manually set the cargo weight. You’ll see messages sent from AH that direct you to what phase of flight you are supposed to be conducting. 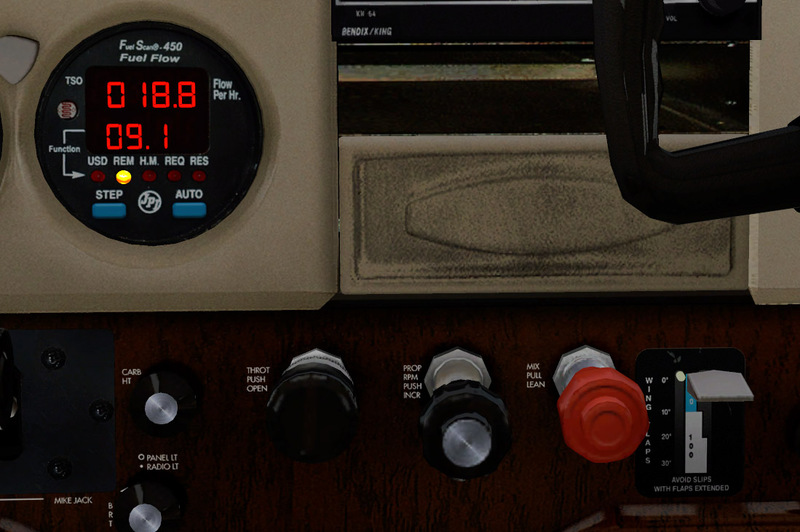 My new Alabeo Cessna 172RG has zero time on the Hobbs meter. The fuel flow meter will also be useful for keeping track of fuel burn and mixture settings. The area around Vernon is gorgeous – heavily forested with lots of deep valleys and lakes. I’m looking forward to seeing what it looks like in winter! I laughed at the pull out wing root air vents in the Cessna – as a flight instructor in Myrtle Beach in August I could never get enough cool air into the cockpit. Your landings will be evaluated – so keep that in mind when you are setting up your approach and settling in for the landing – no pressure! Taxi to the ramp and perform a proper shutdown. You don’t have to go to a specific place on the airfield, but try to pick something that looks like it could reasonably be expected to contain freight handling facilities. Once you’ve set your parking brake and shut off the engine, AH will let you know it is time to Alt-Tab back to AH to complete the delivery. Once back in AH, hit the UNLOAD button and the agent will accept your cargo. If you were not able to carry all of the cargo to the destination, you will be able to unload what you did bring, but then you’ll have to fly back to your origination and pick up the remaining cargo to fulfill the contract. AH will now remember where your airplane is, what your fuel load is, what your aircraft damage status is, and deduct hours toward inspections and maintenance. 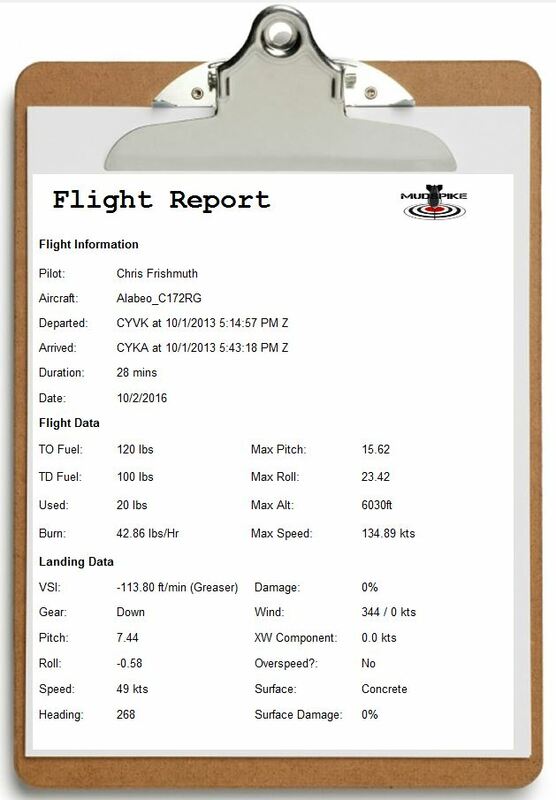 A summary of your flight will appear on a clipboard that breaks down the statistics for you. I’ll be interested to see how these statistics change based on how rough the plane is flown or how bad my landings are. Now you are free to either return to your base or run a contract out of your current location. 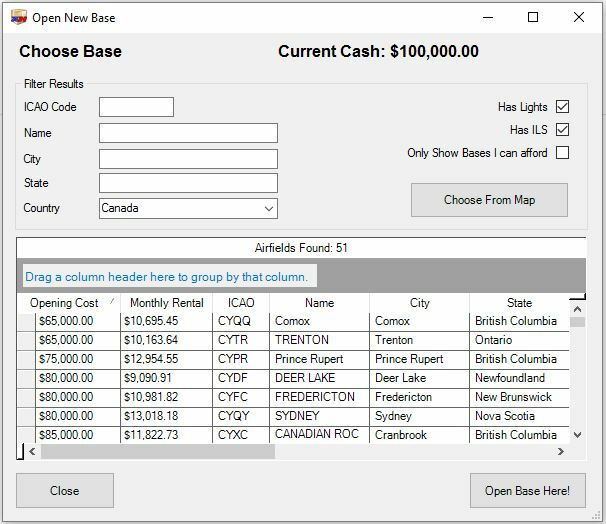 Each column can be sorted according to whatever field you want, so it is easy to find all the contracts out of Kamloops, or you can sort by most money, weight, distance, etc. With the completion of my first contract – I’m back in the black with cash of $1,480.93. Multiple graphs and charts will breakdown the progress of the company over time. I also earned .5% reputation. At some threshold (50 or 60%?) I’ll be able to get a loan from the bank if I’m interested in buying a bigger aircraft that will haul more freight. Or I could get a loan to expand to a larger airfield. The sky is the limit so to speak. So there you have it. A bit of an introduction to Air Hauler for X-Plane and the launch of my new career. I hope to climb the ladder and I’ll be sure to post my progress in an AAR thread. 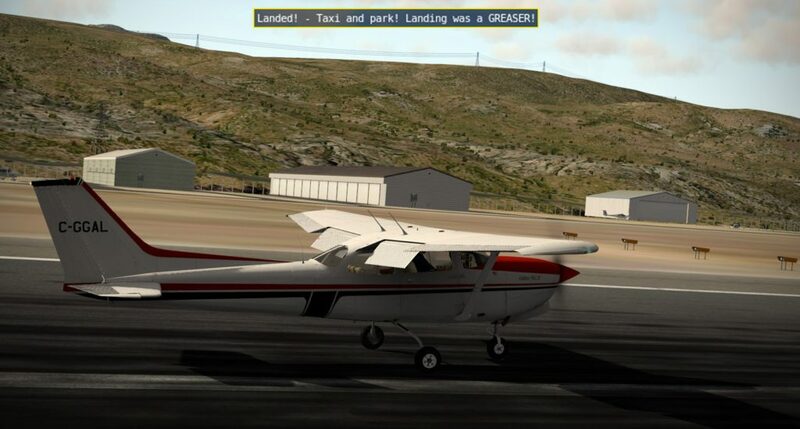 Stay tuned to our front page for a preview of the newly released, early access Air Hauler 2 for FSX/P3D. No doubt it will be more fully featured and functional than the old version for X-Plane, but for now, if you want to fly AH in X-Plane, you are stuck with the legacy AH. This looks good, going to give it a go. Was looking for an excuse to explore a new area and this looks great. Didnt realize this is still 30$ us. That’s crazy. Didnt realize this is still 30$ us. Thanks @BeachAV8R for not only having the determination in getting AH to work with XP10, but also following that effort up with a very informative guide. Following your article, I was able to get as far as configuring a company, CAFCO, and importing one custom aircraft. We set up shop at Ketchikan (PAKT), a little further West from your operation, so that while we are struggling to keep the lights on, don’t have competition from the rising Mudspike Logistics! Our short term plan is to fly a few gigs in the C172SP, then upgrade to a C207 that’s for sale just down the ramp from us. Our mechanic says not to bother with the 207, and be patient until the right twin Otter comes along. Green’s a retired USAF Chief and most definitely an old curmudgeon. I don’t doubt the wisdom in those words, but I think that our immediate focus should be on generating income. I might have a couple of suggestions for make operating AH1 in XP10 a little smoother, but want to kick it around a little bit more before making those. PAKT is going to be a beautiful area to fly around…but you are gonna have some fun with the weather up there! LOL That must have cost you a pretty penny to open that base…it is full featured! What is the monthly lease? Tough call. 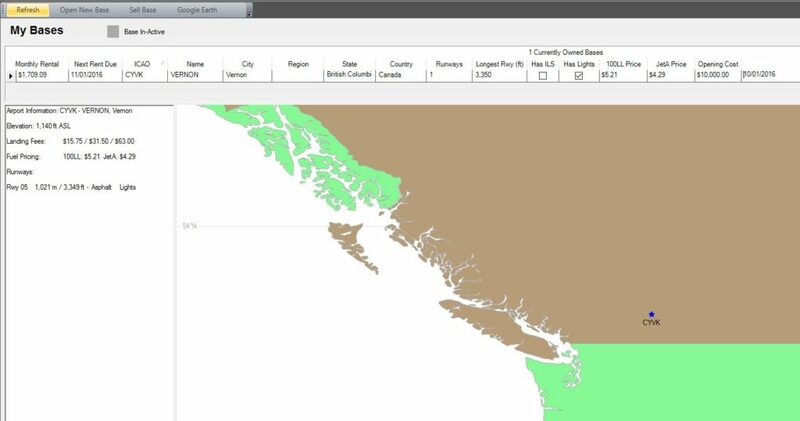 I debated for quite a while wanting to have operations in the area roughly defined as Stewart - Ketchikan - Juneau. 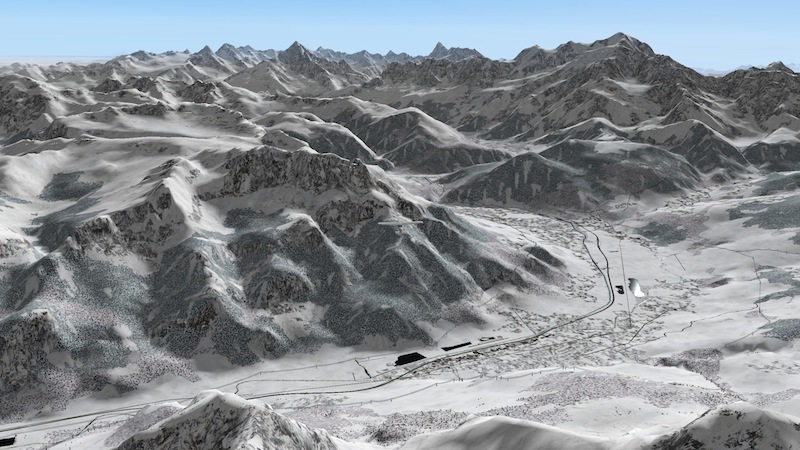 @BeachAV8R reminded me this morning that there is no stock winter terrain for XP10, so would need to source those to feel right. Then there are a lot of free add-on airports in the area I want to fly, and I already own the most excellent Aerosoft CZST. Also have in the Chipwich XP hanger a C195, C207, C340, PC12, and B200, which would all make good freight haulers. Oh…found the link to those winter textures. Honestly, using the JSGME technique (to me) is way easier than using Simple Season. Great, @BeachAV8R. Those look pretty good. Will be interesting to see how the add-on airports match up. That is good. I will have to figure that out because simple seasons caused me nothing but trouble. The load time is #6$–_+(&(($ ridiculous with that plugin. I’m getting a little tired of going though FSX and having to reinstall and reconfigure all of my add-ons. I am about to the point of just going with X-Plane 11 since it is almost upon us. I am definitely interested in Air Hauler and would go with AH2 for FSX, but I just cant fathom another add-on for FSX to add to the installation/configuration process. Do you think Air Hauler will work with X-Plane 11 as you described in the article for XP10? Sorry I can’t write a longer post because I just walked in the door - but I’m leaning toward “maybe” with Air Hauler and X-Plane 11. I mean, it is a new version, but a lot of “under the hood” stuff might be the same. But with plug-ins of any type…ya’ just never know. And the problem is - if you’ve tried or are playing any Air Hauler 2 in FSX or P3D, you quickly get spoiled by all the additional features that it offers…so AH for X-Plane becomes a little less attractive. (The whole - hey…I jumped the fence, the grass really is greener over here, is soft, and sure beats the crabgrass that is AH1 for X-Plane). Air Hauler 2 features + X-Plane 11 would be pure bliss. Unfortunately, as is often the case, we might not be able to have our cake and eat it too. From all I’ve read, X-Plane 11 should be out in November, so it wouldn’t be too long to wait to see if we can get AH and XP11 working. What stinks is that I read on the AH developers facebook page is that he has no desire to make AH2 for X-Plane. It would be way to much work for something he has no interest in since he primarily is all in for FSX. AirHauler. 1.2K likes. 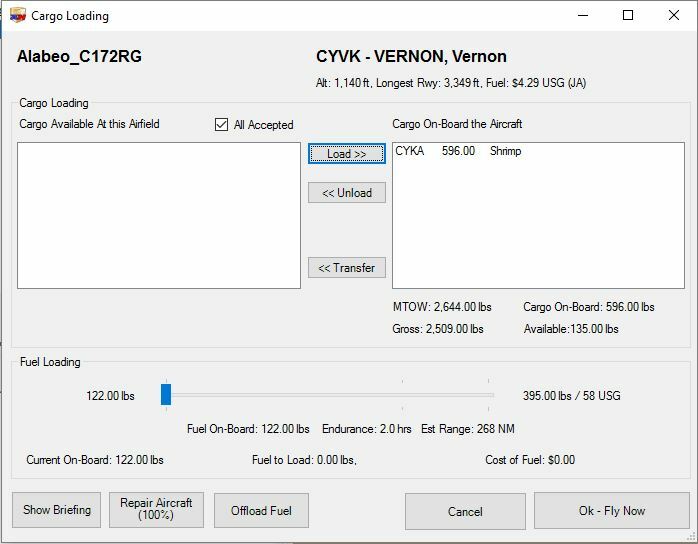 AirHauler lets you create and run a virtual air freight company within Microsoft Flight Sim 2004, X, or X-Plane! Ya it blows. But in a niche hobby people develop for what they like. It what others want, for the most part. 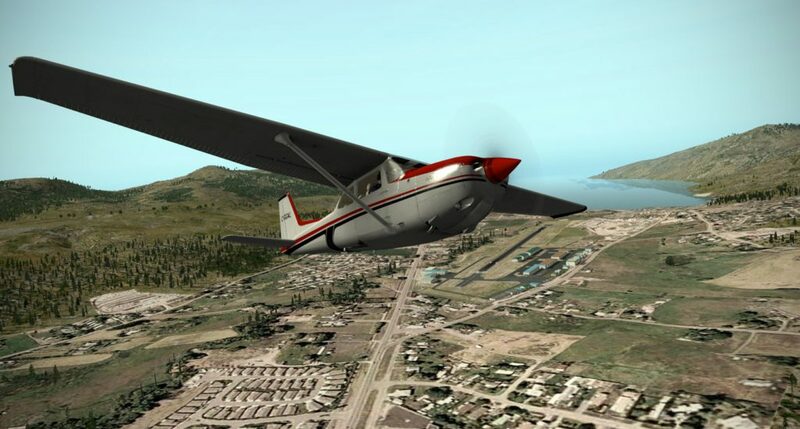 Development of x-plane isn’t much different. On the flip side FSEconomy works with X-Plane. @BeachAV8R , how long should this importing custom aircraft thing take? All it seems to do is load up to the quickflight setup and then just sit there. AH is unresponsive during this time. If I then close x-plane manually, it throws the expected error in AH. Import custom aircraft, navigate to aircraft folder, select the .acf, click import. Acknowledge the pop-up (ie. don’t mess with the process, it’ll close automatically), x-plane launches (confirm splash screen says 32 bit), wait and wait and wait. Nothing happens. I should note I’ve also tried loading the aircraft to an airport, but that had no effect either. Ok nevermind. Decided to make AH run as admin, that fixed things. Decided to make AH run as admin, that fixed things. Since XP11 is 64 bit only - I was thinking about how to get the addon aircraft Air Hauler data into the XP11 install. 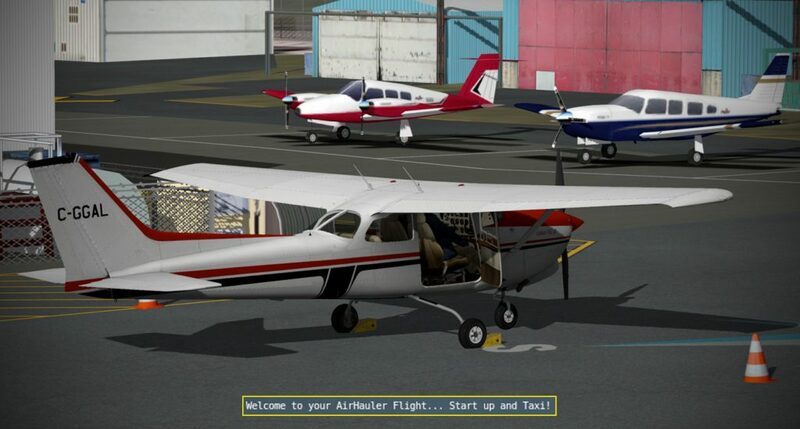 Have two Installs of Air Hauler - one to work with X-Plane 10 and one for X-Plane 11. 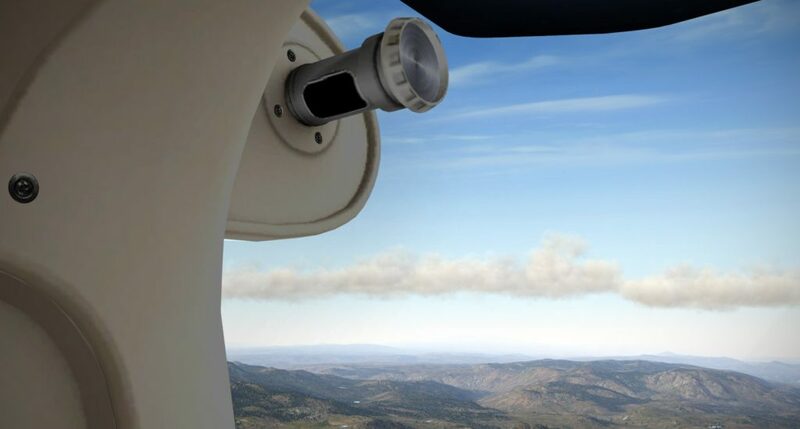 Find out where the Air Hauler X-Plane 10 aircraft data is stored. 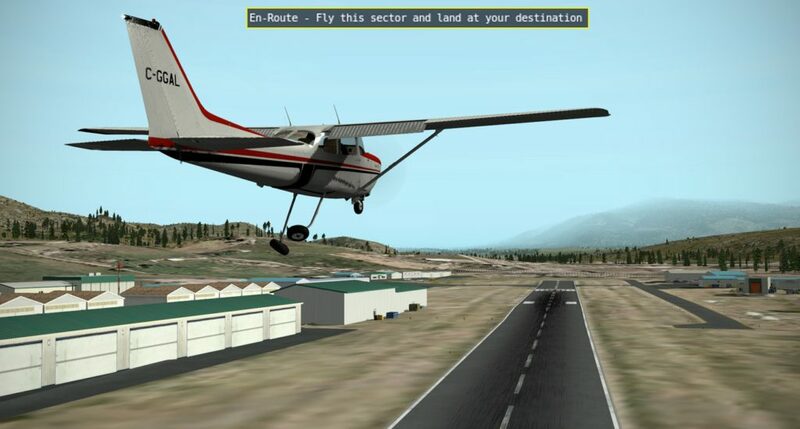 Copy the Air Hauler aircraft data from the X-Plane 10 install and paste the data into the Air Hauler X-Plane 11 install. Let us know how it works out if you try this @Wedge. Edit: removed next comment as discovered that it was irrelevant. I looked at the AH directory and I cant figure out where this data is stored. Also, I think there will be a road block once aircraft are released/updated specifically for XP11 because I dont think there will be any way to load those aircraft into XP10 in order to create the data file. I’m still trouble shooting it…but now I’m getting wife flak…I will have to put this on hold. Passing over PAKT on the way to PANT. 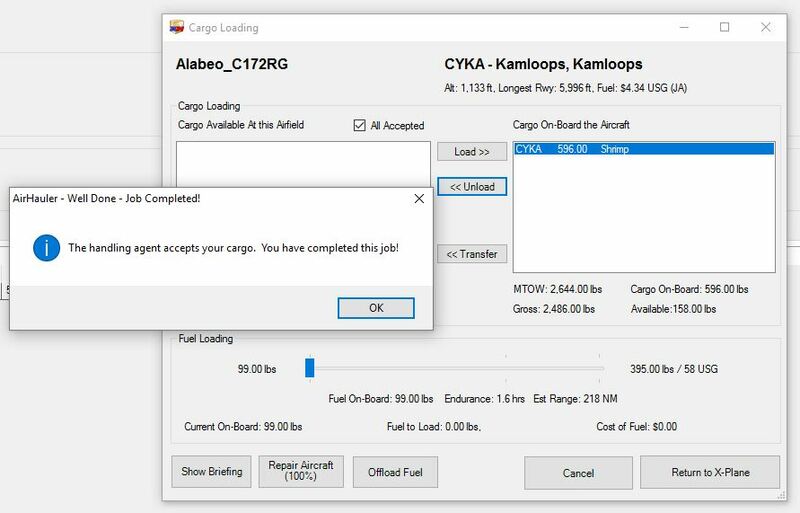 Yeah, I think I always had to manually load the cargo weight even when using AH with XP10 - so that wouldn’t be much different if that is the case with XP11. Are you getting the in-flight messages at the top of the screen? Hmm…I wonder if you ran it in XP10 and did the aircraft import as you described (that is the same way I’ve had to do it - renaming the 64 bit exe to 32 bit…) then go into the directories in AH and find the file that shows the most recent timestamp…maybe that is the database file? I’ll try it tomorrow - I gotta get to bed! Are you getting the in-flight messages at the top of the screen? Yes I am, although they are black and white instead of green and white. I solved the XPUIPC error message by reading your article again and leaving those two files in the Plugins folder. Are you talking about the .mdb file in the \AirHauler for Xplane\Company folder? That looks to get edited with each opening of AH. BTW, if you load AH not as Administrator, then load it as Administrator, it displays a different company list. So, the take-away is be consistent. I’ve got AH working pretty well in XP11 now, with a caveat that you have to import custom aircraft in XP10. Install AH in a folder outside of the default C:\Program Files (x86) and set it up for XP10 per the MUDSPIKE article. I use C:\Simulations as a base folder for most of my sims, so during the AH install, I point to this folder as the AH install location. 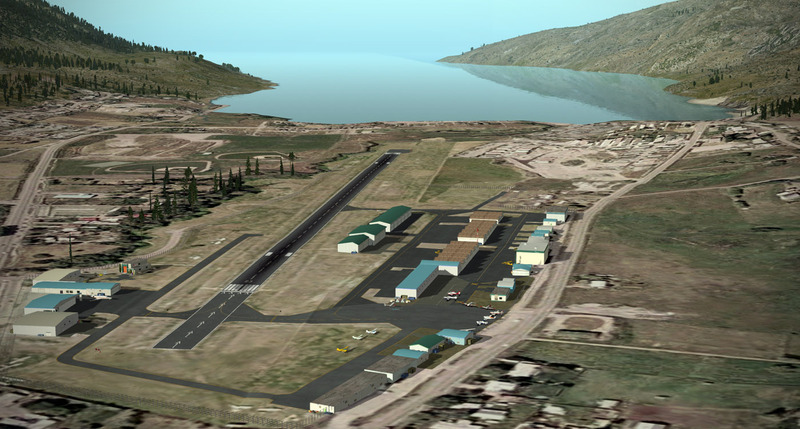 AH will create an AirHauler for X-Plane folder in this location. Moving it out of the default folder avoids any UAC issues that might cause some features not to work. So my XP10 install of AH lands in C:\Simulations\AirHauler for X-Plane. 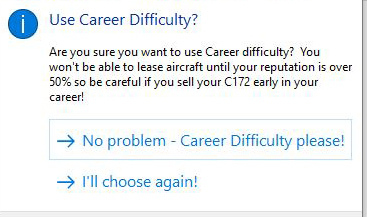 Create a company and import all of the aircraft that you plan to buy/lease during a career. Note that you don’t have to buy or these aircraft of take a job, just import then so that they will be available to you later. Copy the whole AH install folder to another location. I used C:\Simulations\Just Flight\AirHauler for X-Plane, Launch this version of AH and in Options point the x-plane.exe path to your XP11 install folder. Shut down AH. Copy from \X-Plane 10\Resources\plugins 3 files: XPUIPCOffsets.cfg, XPUIPC.xpl, and AHPlugin.xpl. Put these in the same folder in XP11. Install XPUIPC for X-Plane in your X-Plane 11 folder just like you did in step 1. Go fly like the big freight dog that you are. In fact it looks like the stock market functionality is working as well, so I bought 10 shares of Boeing Aircraft. I used medium difficulty because I wanted to test the Carenado PC-12 in XP11 and it worked perfectly as far as I could tell. First job completed. Used time acceleration for this test, because I need to get some sleep! Stock market feature. Did not test fuel prices. Boeing up 1.25% today - yeah. You’ve got cargo to unload Mr. Cut the fuel load a little close, oops. Dude…you’re my hero for figuring that out! Mudspike Logistics will live on in XP11…! Yeah, I was pretty tickled when I got the You have cargo to offload message. @BeachAV8R, you had done all of the heavy lifting with your Air Hauler for X-Plane article, and this just built on those concepts. I’m looking forward to digging a little deeper to see what’s working. For instance, I didn’t have to use the FSWide/Manual cargo manipulation method. AH seems to communicate nicely with XP11. Perhaps one of us can write a script to synchronize XP11/XP10 company data. But to be truthful, I haven’t been in XP10 much since 11’s release. That’s awesome. It is very interesting that the stock market started working. Have you noticed if the price of fuel (or is it barrel of oil?) is updating? Thanks so much for getting this done! I am out of town due to work and I’m away from my PC - I have been thinking about troubleshooting this thing the whole time. Now I just want to get home to get this sorted out following your instructions. Sadly, fuel pricing seems stuck @ $100/bbl. Will try to figure this one out as well. I really need to get this working with ah10 soon. Got busy and haven’t had a chance to do anything than use the import function. O idea if that’s even worked other than I see them in the list. Any updates on AH functionality 1 year later? The only thing tempting me to try p3d is AH2. I bought the XP 11 beta which gave me a copy of XP10 so I can do the whole two version trick, I just dont wanna spen 30 bucks on someghing that worked a year ago, but is broke now.